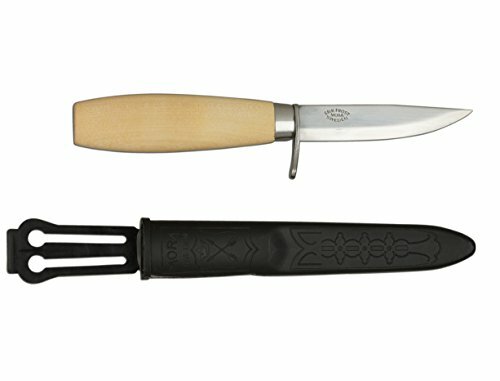 Morakniv has been manufacturing the highest-quality knives in Mora, Sweden since 1891. Professionals worldwide trust the quality materials and fine craftsmanship of Mora Knives. Mora knives feature ergonomically-designed handles and employ premium-quality knife steel that is optimally adapted to the task for which the knife is intended. The Mora Wood Carving 73/164 is a small wood carving knife with a thin carbon steel blade and single-finger protection. Oiled birch wood handle. Blade length 3.0-inches.